Most hosting providers worth their salt, provide a one click option that installs WordPress within minutes. From there, you can choose from hundreds of free themes to build your website or easily choose a paid version. Most pay for play themes are around $50 – $75 which is very economical for a small business owner. If you want to setup a simple website for your business with no customizations, you can do so yourself. And, the best part is that you don’t have to know programming languages to do so. As an open-source software solution, this means that the underlying code is open to those in the software community to collaborate, study, change, and improve the WordPress Content Management System (CMS). WordPress has been around nearly 14 years and there’s been a huge increase in the number of websites that use WordPress (over 60 million websites are on WordPress). WordPress is here to stay. It’s really easy to upgrade the software when new releases come out and it doesn’t take a programmer to do so. When you install WordPress, your site will not immediately show up in search results. Anyone leading you to believe that is misinformed. You’ll need to follow SEO best practices and install an SEO plugin like Yoast to help increase your sites’ rankings. Keyword research, writing blogs that appeal to your prospective customers and adding new pages, will help keep fresh content on the site and in turn, help your SEO. There are over 200 factors that determine website rankings like speed and mobile responsiveness. Attention to these factors is the only way to improve your rankings on Google but WordPress makes it easy with access to free SEO plugins. With a few clicks of the mouse, you can upgrade WordPress and your theme to the latest version. You don’t have to call your webmaster or rely on a 3rd party vendor to upgrade your site to be compatible with the latest web browsers, tablets, or mobile phone. 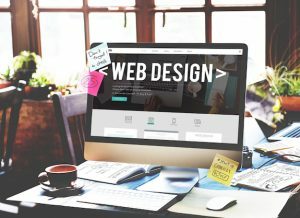 By picking the right theme from a reputable company, you’ll always have a website that’s cutting edge. The WordPress CMS is very intuitive. We have launched several new WordPress websites for our clients. If you know how to write a paragraph in Microsoft Word, you can use the WordPress CMS to manage all of your content and keep the site up-to-date with your latest products and services. It’s that easy! The ROI gained through managing your own site can be significant by not having to go back to your web developer to change a few sentences on your site’s html pages. Furthermore, you don’t have to be a programmer to use an editor on the WordPress CMS. Of course, any client that’s signed up with PersistSEO will receive monthly WordPress support as an added benefit of doing business with us. Do you have a video or photo that you’d like to upload to your site? With WordPress, that’s not a problem. On the CMS editor, it’s as simple as pressing the upload button and selecting the video or image that you’d like to upload into your content. Many themes make this even easier by formatting your video and images to provide a nice user experience. You can install plugins and widgets through the WordPress dashboard that will allow you to integrate your social media pages, add a contact form, create a newsletter box, or even place your site in maintenance mode with a splash page while it’s under development. The possibilities are endless with plugins and widgets from WordPress developers. And, most all of them are free and you don’t have to know programming languages to add cool features to your page. If you are considering a website redesign or a brand new website for your small business, consider using WordPress. Keep in mind that WordPress is an engine and a powerful one, at that. Your website design can be customized to meet the branding and styling needs of your small business. Are you using WordPress or another platform? Let us know how we can help by calling (770) 580-3736 or request a Free SEO Audit today.